Demaryius Thomas sees nothing wrong with some good, quality competition in training camp. 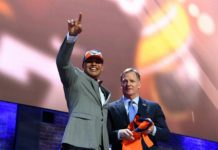 But the five-time Pro Bowler, now in his eighth year in the league, is glad a decision has been made at quarterback. Thomas is ready to get to work. “Nothing against the competition that we had, nothing against Paxton [Lynch], but it’s a good thing that now we know who we’re going to see every game this season,” Thomas told Eric Goodman and Les Shapiro on Tuesday, one day after Trevor Siemian was named the Broncos starting quarterback over Lynch. “We can for sure now go out, get the extra reps. Some of the stuff that I used to do with Peyton [Manning], I’ll be doing that with Trevor. So that will be a good thing, so we can get the timing down and everything else,” Thomas said. 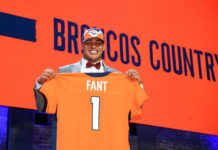 The veteran wideout has played with six different starting quarterbacks during his time in Denver, so he knows what he’s looking for from the man getting him the ball. Thomas admitted that it was a close competition, saying he both was and wasn’t surprised that Siemian finally earned the job. Most importantly for Thomas, he now has some certainty about who will be taking the field with him as a starter on Sept. 11 against the Chargers. It’s something he values not only with the quarterback, but with all the starters on offense. The biggest downside to the competition was that it split reps for starters like Thomas and the other offensive playmakers, who rely on timing and familiarity with the quarterback to be most effective. Now an elder statesman on the team, though, Thomas understands that the changing dynamics haven’t just been at quarterback. Thomas and the Broncos host Green Bay on Saturday for their first home preseason game this year. 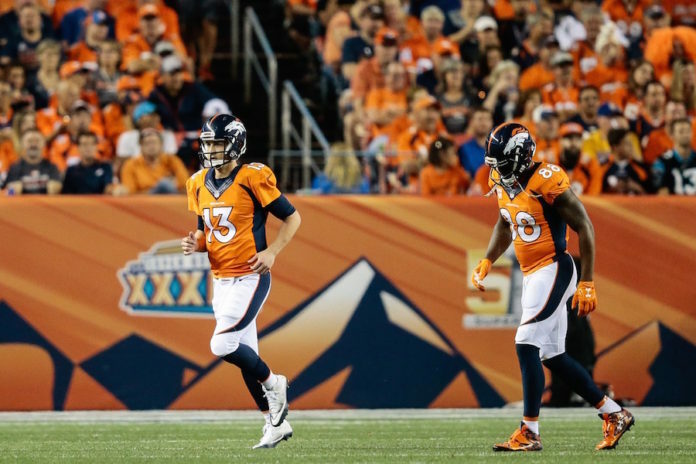 Siemian will play the entire first half and probably the first series of the second half with the starters, before giving way to the second-team unit. From here on out, the main competition is the opposition. Listen to the full interview with Thomas, including his thoughts on his chemistry with Trevor Siemian, in the podcast below.